Does your fear of bamboozlement prevent you from living life to its fullest? Image from mosaicmovieconnectgroup.blogspot.com. 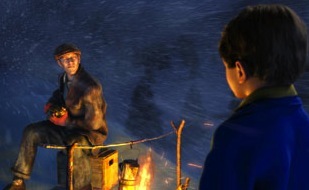 In the movie “The Polar Express,” the young protagonist faces a dilemma: Should he give in to his nagging doubts about the existence of Santa Claus (the big man) or choose to believe? Those who have seen this wonderful adaptation of Chris Van Allsburg’s children’s classic know the answer: believe. Last weekend, I went backpacking in the Shenandoahs with my brother Barry and our friend Ed. My running joke (which I suspect only I found amusing) was that I had been bamboozled. Bamboozled into believing that the hiking would be less difficult than it was. Bamboozled into thinking that the miles would go by effortlessly as we traversed switchbacks, hugged the tree line and marveled at the spectacular views. Bamboozled into imagining that I was trim and fit. So with each new, unforeseen challenge, I would protest that I had been bamboozled again! A rocky patch in the trail, an extra mile to the campsite, a precipitous climb in elevation—bamboozled! In truth, backpacking is hard work. Your feet get blisters, your legs turn to jelly and your back gets sore from all that weight on your shoulders. Panting up the hills, scrambling over rocks, straining my knees on the steep downward inclines, I began to doubt myself. Am I getting too old for this? Maybe my backpacking days are over. If I hadn’t been bamboozled, I wouldn’t have seen Camp Hoover and the falls nearby. Image by rootboy at panoramia.com. Sometimes, though, you just have to psyche yourself out; you have to let yourself be bamboozled. Otherwise, you’d never push yourself, never achieve any goals or climb any mountains. You have to believe you can do it. Athletes know all about this. They know that motivation is the key. That with the “pain” of trying harder comes the “gain” of new personal bests and more points on the scoreboard. Athletes also have coaches, trainers and teammates to spur them on. Sure, it takes deep personal fortitude to compete at your best, but peak performance is often achieved through the encouragement and urging of a good coach or concerned teammate. Hiking along the trail, I had two good teammates. Each day, we fell into a routine, with Barry taking the lead. He set a brisk pace that I would attempt to follow. Behind me was Ed, slow but steady. Between the two of them, I was in a good place. Barry blazed the way, and Ed had my back, calmly spurring me forward. I admit there were moments when I wanted to call it quits, but the vistas, the beautiful weather and the camaraderie made the bamboozlement all worth while. As the boy in “The Polar Express” learns, believing isn’t always easy. The Express has its share of narrow escapes on the way to the North Pole; and even after they arrive, there are still wrong turns and mishaps. Without the help of his newfound friends and the urging of the conductor, our young hero wouldn’t see the big man or hear the music of the Christmas bell. Was he bamboozled? No more so than anyone who is willing to believe he can do or see things that ordinarily he would not be able to. Or who willingly concedes that a little wool pulled over the eye is necessary to achieving a goal, enjoying a hike or living life to its fullest. 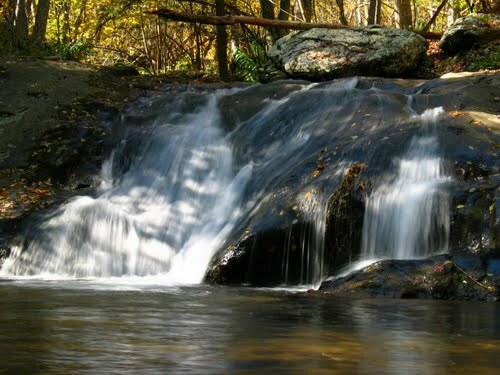 This entry was posted in Goal setting, Staying motivated and tagged backpacking, bamboozled, believing, hiking, Shenandoahs, The Polar Express. Bookmark the permalink.